Patchy fog, light freezing rain, and flurries will continue throughout the morning. Stay weather aware throughout the day and download the storm tracker 21 app. A lot of information to go through on this second Monday of February. Light snow is possible this morning along with freezing rain and fog. Use caution on the roads and allow for extra time on your morning commute. 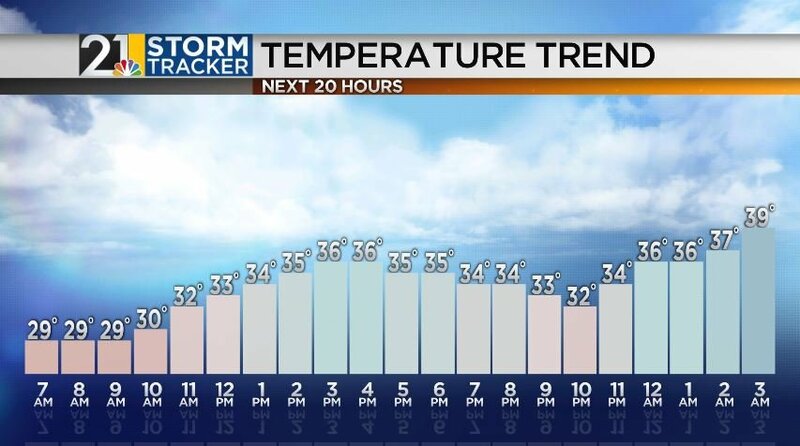 Temperatures will climb to a brisk high in the mid-30s. A mostly cloudy day will be featured with a chance for a mix of snow/rain after sunset. Tuesday is looking damp with mixed precipitation in the morning. You will need to trade out the snow shovel for an umbrella on Tuesday. Keep the snow shovel close because snow is back in the forecast on Wednesday. 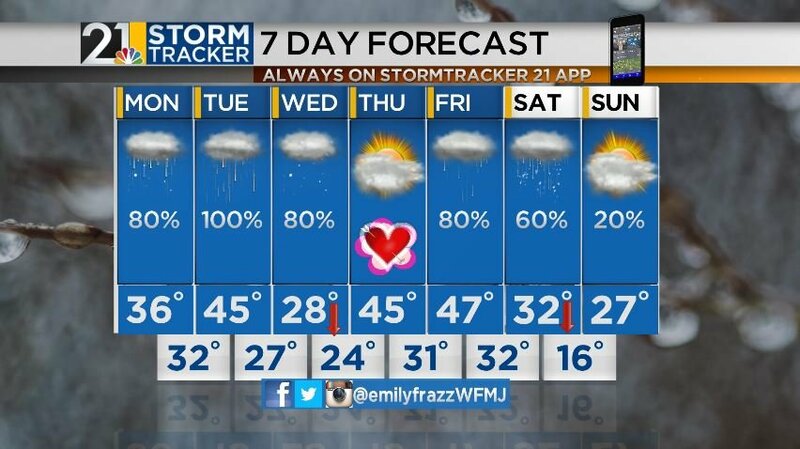 Valentine’s Day is looking quiet with a mild high in the mid-40s. Stay weather aware throughout the week and download the Storm Tracker 21 app!